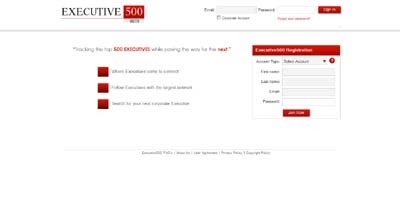 Executive500 is a premier social networking platform designed exclusively for executives around the world. Here, executives are free to network with other industry leaders, share information and make their way onto the Executive500 list. Executive500 makes networking count by make the site exclusive and rewarding those who have the largest network. It is also easy to use and corporate accounts, where companies can make pages and post jobs, are free.